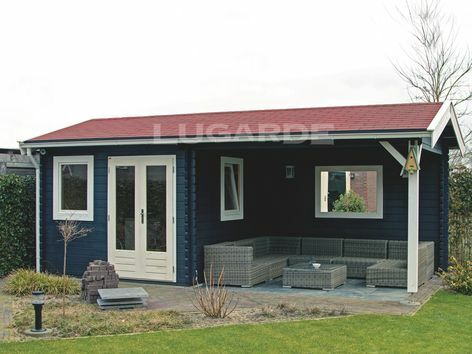 The Lugarde Hannover comprises a good sized log cabin with a large canopy to the right side. The canopy has a back wall and the supporting post has braces. 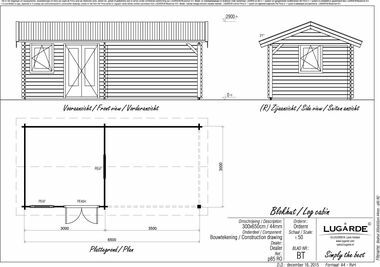 The cabin windows have a tilt & turn feature. Please note: the Lugarde images shown are representative and may contain features which are not included in the price shown on this page (such as the mirror, which is not a window).